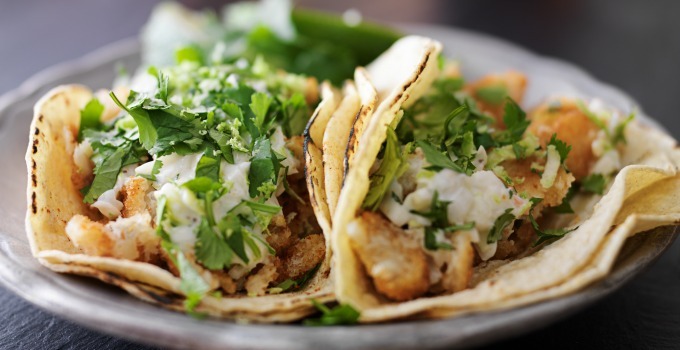 We all hunt for good fish tacos, but they are truly perfect, especially when wrapped in grilled tortillas and paired with fresh corn on the cob. Not just delicious, they’re also ready in 40 minutes – perfect for saving yourself from hangry guests. Team it with a margarita and you’ve got yourself a party! The secret? A medium-hot fire and lots of lime, so choose your favourite fish, grab some cabbage, coriander and spices and let’s get cookin’ good lookin’! Place the fish in a heating dish, squeeze half a lime over and season with cumin, garlic powder, salt, pepper and olive oil. Refrigerate and marinate it for at least 15 minutes. Combine coriander, cabbage, olive oil and lime, and season with salt and pepper. Brush the barbecue with oil and place the fish on it. Cook for 3 minutes and flip over for 2-3 minutes more. Remove from the heat and serve on warmed tortillas with slaw and lime. Robert Brown is an editor with Skewered Brazilian BBQ, a unique catering service providing delicious, authentic Brazilian barbeque for all special occasions in Melbourne and Victoria.